Jolie Maxtin: May is for me! Yeah! May is my month to be hostess in my Traveling Circles Bee. Remember last week when I was sorting it all out? Well it's all done and mailed out. 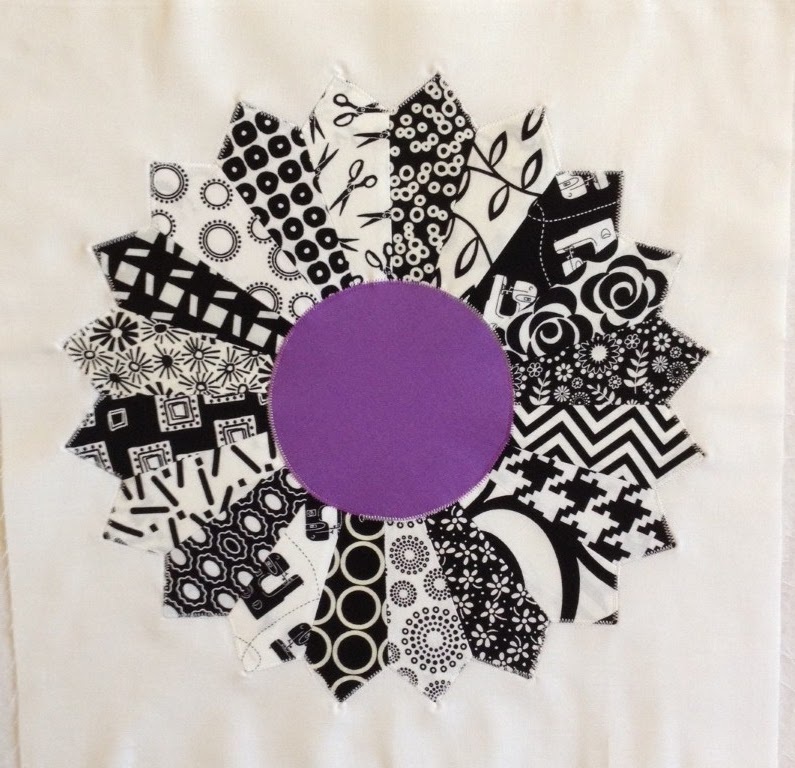 I am requesting my girls to each do a black and white dresden plate with a solid kona circle. 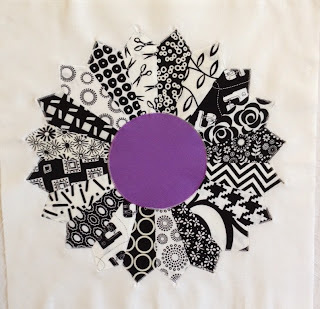 Here is my example block using purple. 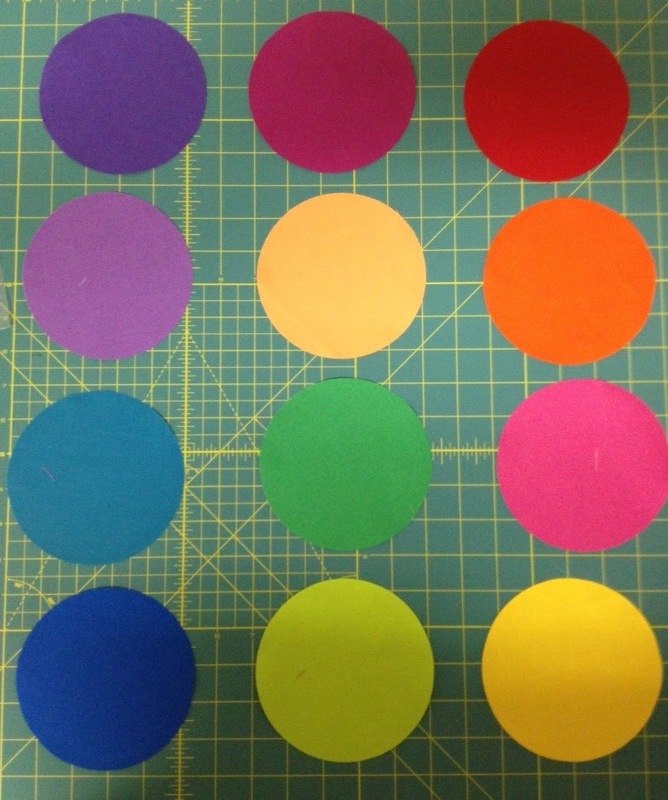 These are the circles prior to packaging up the fabric so you can get a mini-glimpse of what it will look like with the pops of color. As for the sashing, mmmm. I have a couple of ideas, but I am not sure how I will finish it out so if you have any fabulous ideas - please...share them with me! I can't wait see this all together! What a great idea. This going to be so cool. It will be exciting to see it finished. Wow - that will look great. I look forward to seeing them all together. I love this! IT is going to look so good! Cute as a button. I'd take the colors found in the circles and cut strips, sew them together and make a striped binding. Or find a good dot fabric. Can't go wrong, it's a great looking piece!